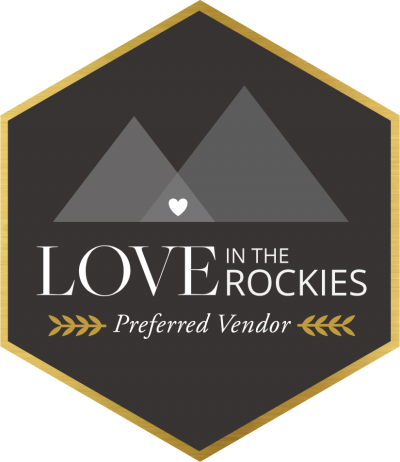 As a mountain bride or a mountain groom you understand the call of the wild and the beauty of nature but if you want to travel for your honeymoon we have five amazing natural honeymoon getaways for the nature lover in you. 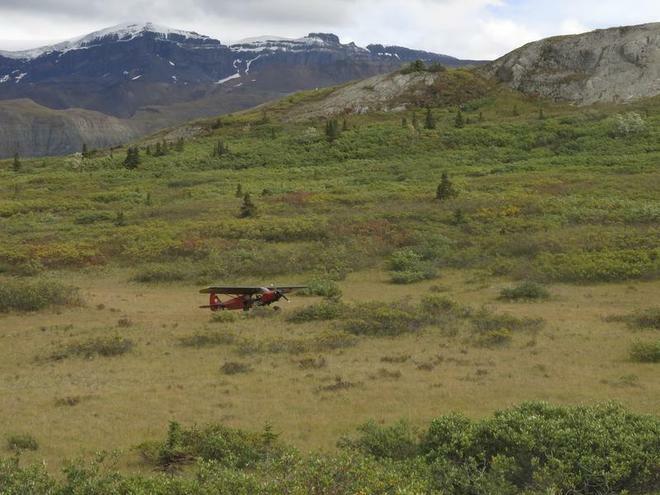 These honeymoon destinations are perfect for the outdoor enthusiast who still wants a taste of luxury and relaxation on their honeymoon. 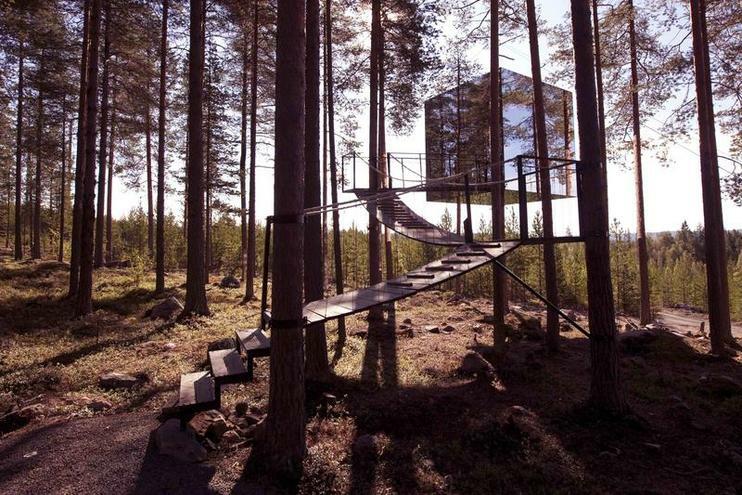 Inspired by the Swedish documentary The Tree Lover, about three city men who rediscover their roots by building a tree house, the Treehotel offers a witty, modern Scandinavian take on the classic forest retreat. The owners hired some of the region's top architects to envision six sleek, comfortable rooms (with basic bathooms) that could be anchored to the trunks 13 to 20 feet above the ground. One, called the Bird's Nest, has a twig-like facade meant to blend in with its environment, while the UFO was designed to be something completely out of place. The Mirror Cube measures 13 by 13 by 13 feet, whose walls, of course, are one-way allowing the guests inside a forest panorama. 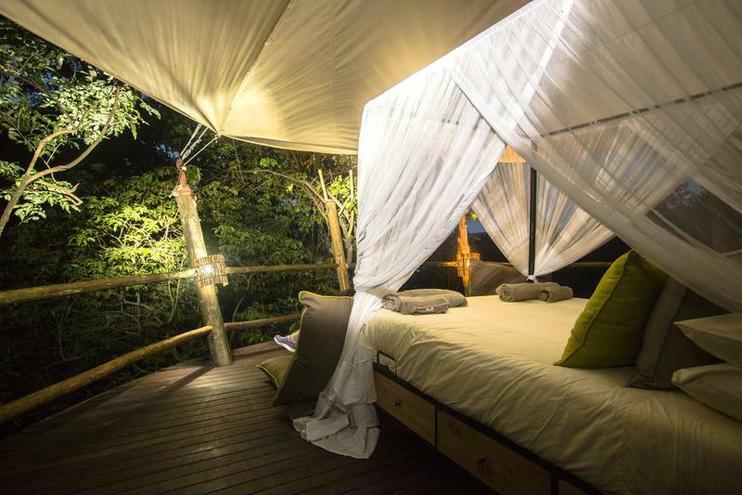 This month, the luxury safari operator Asilia is opening its Treehouse on Rubondo Island, a dreamy "sleepout" overlooking Lake Victoria on Africa's largest island national park. 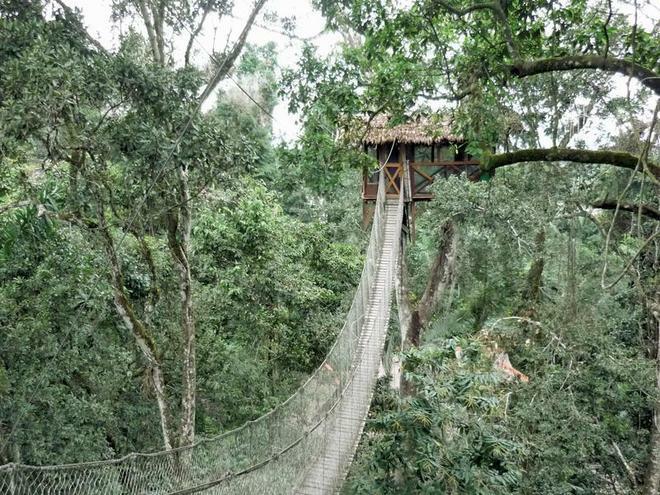 An easy walk from the camp's private beach, the Treehouse is a circular platform that's partially protected by a canvas canopy as it stretches out from a lichen-covered rock face amid hanging vines and wild fig trees. 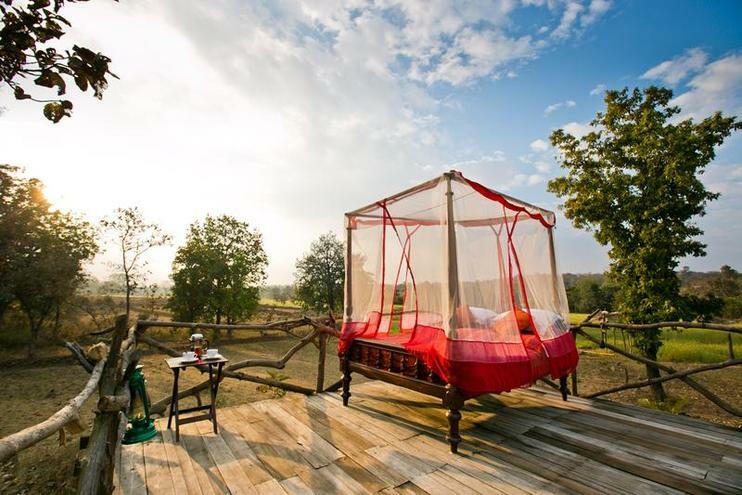 High enough to be protected from the roaming elephants and hippos that may do their nocturnal amble beneath, the open platform has a double bed and full hot and cold plumbing, including a large copper bathtub.